Rhenzy Feliz, an American-born actor with Latino roots who is set to take Hollywood by storm. He appeared in several web and television series through which he carved a niche for himself on the small screen while waiting to mark his big screen debut. Feliz’s first major feature was on the comedy series Casual in which he played a recurring role. More recently, he has come to be known for his breakout role on the superhero series Marvel’s Runaways in which he portrays the lead character, Alex Wilder. Rhenzy Feliz was born on the 26th day of October 1997. He is of Dominican descent. He was born in The Bronx, New York City but his family moved to Florida when he was a child. He was mainly raised by his mother and there is no mention of his biological father in his upbringing. While in Florida, Feliz’s mother took on different minimum-wage jobs in order to cater for the family and owing to the nature of these jobs, they had to move several times. Feliz attended several different schools for his early education owing to his family’s frequent relocation and by the time he was in the third grade, he had been in as many as eight schools. His mother remarried after which the family moved to Los Angeles, California and there, he studied at Santa Monica High School. Rhenzy Feliz first displayed his performing talents at the age of 6 when he sang karaoke on stage, however, these talents remained relatively dormant throughout his childhood and in his early teenage years. He was a very active baseball player during his early high school years but he eventually opted out of it as he had no true passion for the sport. Feliz ultimately chose to return to his childhood dreams of performing after his family moved to Los Angeles. He took part in his first school play while in his junior year of high school and he eventually majored in drama. His transition from sports to acting was rather effortless owing to his natural talents. Among other accomplishments of his high school years, the talented youngster was a finalist at the 2016 August Wilson Monologue Competition and he equally performed excellently at The Music Center’s Spotlight Program. 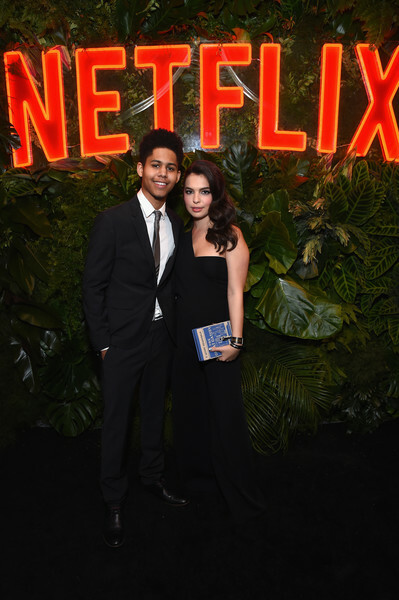 During his late teenage years, Rhenzy Feliz landed his first major acting gig on the web comedy series Casual (2016) which is broadcast on the Hulu digital media network. He portrayed the recurring character Spencer on the 2nd season of the hit series. His next role was on the final season of the highly-acclaimed action-horror series Teen Wolf (2017) in which he played a recurring guest role. Also in 2017, Feliz landed his breakout role as Alex Wilder on the superhero web series Marvel’s Runaways (2017-present), also on the Hulu network. His performance as the lead star of the show was impeccable and this helped announce him further to audiences all across the world. In addition to his lead role on Marvel’s Runaways, this budding actor also recorded a guest role on the ABC comedy series Kevin (Probably) Saves the World (2018) which lasted for just one season. Feliz has a quite interesting dating life as he is known to be in a somewhat high profile relationship. His girlfriend is none other but Colombian-born actress Isabella Gomez. The duo got together in early 2018 after meeting through a mutual friend Ariela Barer who is Feliz’s costar on Marvel’s Runaways. Gomez began her acting career in 2014 and just like her boyfriend Feliz, she has recorded several small-screen credits. She appeared in the action TV series Matador (2014) and she was on the main cast of the web series One Day at a Time (2017-19). Rhenzy Feliz is 5 feet 10 inches (178 cm) in height. He maintains a trim and attractive physique at a body weight of 66 kg (145.5 lb). Though he is now a young adult, this budding actor still maintains his boyish looks which endeared him to audiences across the world.